Creatives have suffered from careers, disorganization and inefficiency at bureaucracy’s mercy for a long period. However, Behance is aimed to connect, empower and organize creative careers available worldwide, in order to allow the best ideas to see the day’s light.Similar to the professional social networking site LinkedIn, Behance has become an easy and a great platform to browse for professional talent. However, it differs from the former in a manner that it allows people to create portfolios and display their creativity to the world, rather than communicating the level of their skills verbally. 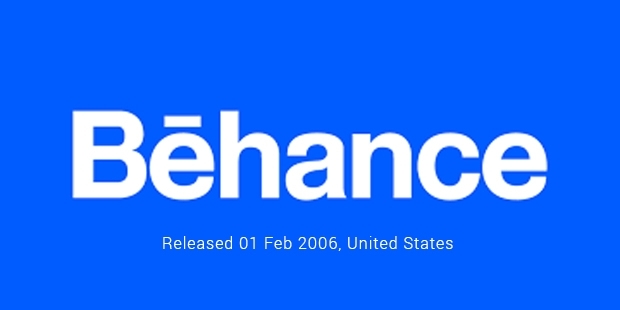 While designers use it to get noticed by pushing out their work, companies like Apple and others utilize Behance to find and hire skilled professionals available.Behance was established by Matias Corea, Scott Belsky and Grigory Rudko in February, 2006 with headquarters in New York, United States. 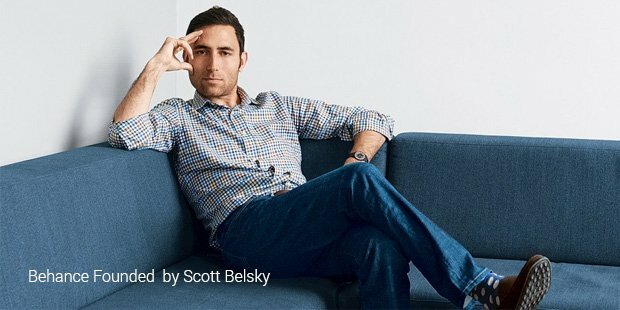 Co-founder Scott had a belief that the work of creative teams and individual people contribute to the greatest breakthroughs across industries. Following his conviction, he committed to provide a platform to aid creative networks, teams as well as individuals. This platform draws millions of visitors to discover the best talent as well as powers creative networks for top organizations and schools, enabling portfolio and distribution of work across other galleries over the internet. The product, ProSite allows members to create personalized portfolio sites and use them to enhance their outreach and efficiency. Along with this, Behance also serves as strength for LinkedIn, AdWeek and many more portfolio sites as well as creative galleries.Services over Behance are offered in several creative fields, including animation, art direction, architecture, branding, automotive design, character design and many more to count. The list began from a small number and is continuously updated with new terms and categories to help professionals find and display talent in easily.The website was relaunched in 2011, after which, it observed an explosion of traffic over its servers. The amazing stats from that time state that users had published around 1 million projects in the previous 6 months, while the previous 1 million mark was achieved over a time span of 4 years. Moreover, those 2 million projects on the site was viewed by over 1 billion times, with 75 million views in 30 days only. With a user base of millions, the platform received a marvelous count of 50 million page views by 2011’s winter, from more than 9 million visitors on a monthly basis. Since then, the platform has been evolving constantly to offer better services to its customers with the addition of new and innovative products. The user base has also grown tremendously, which allowed the site to achieve a spectacular 778 Alexa rank, recorded in October last year.The ultimate success of Behance persuaded its developers to focus on the growing mobile market. 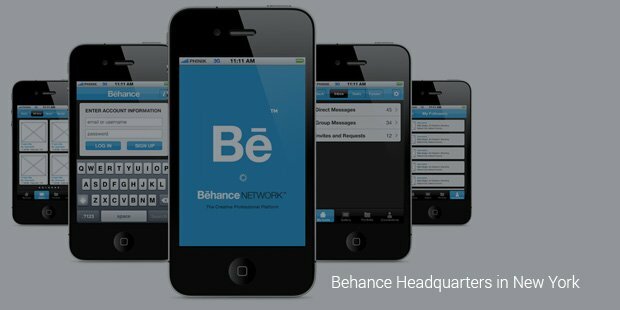 In order to catch up with the latest advancements in the Smartphone world, Behance app was launched for both Android and iOS based devices and made available to users through the official stores.